In recounting the various jobs of my great-grandfather Louis Stoltz, I have been looking for images of the various places he worked. I was able to find a vintage 1950s postcard of the location of the El Paso Billiard Club,317 E. Mills Ave., where he was manager in 1940. 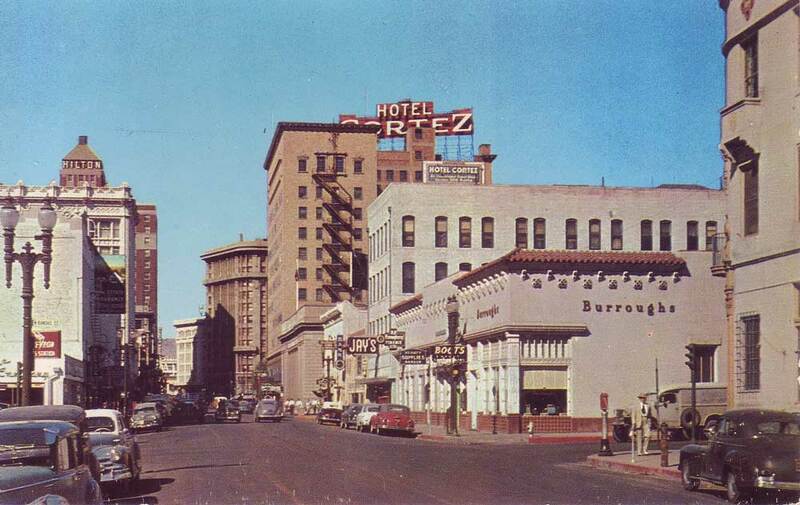 The club was located in the building on the right of the photo, the next shop up toward the center from the store named Burroughs. According to Google Street View, the block appears largely unchanged. The address of the old billiard club is now a bar called The Network.